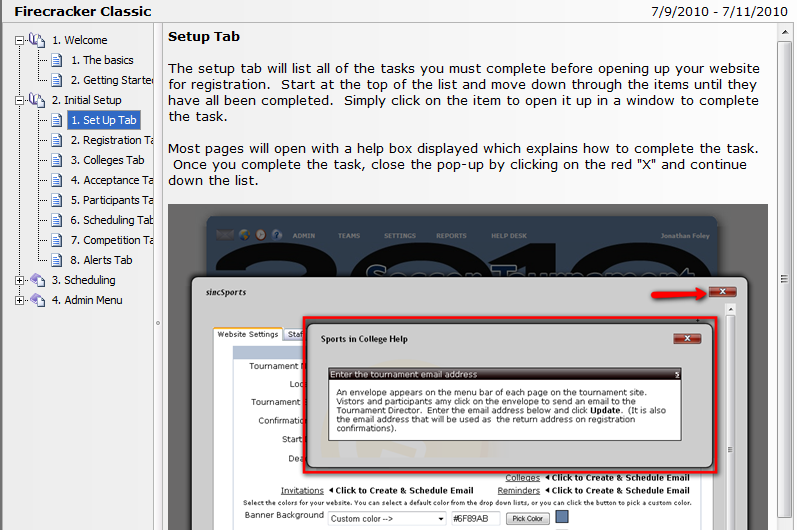 Each event gets a website that they can maintain and customize. The website can be accessed by a custom URL and will be the place where teams register and view their schedules and standings. Team registration is the next component that you'll need for your website. Create the questions you want, set the fees for each division, and accept payments through your event website. Communicating with teams and coaches is essential to keep people informed and happy! 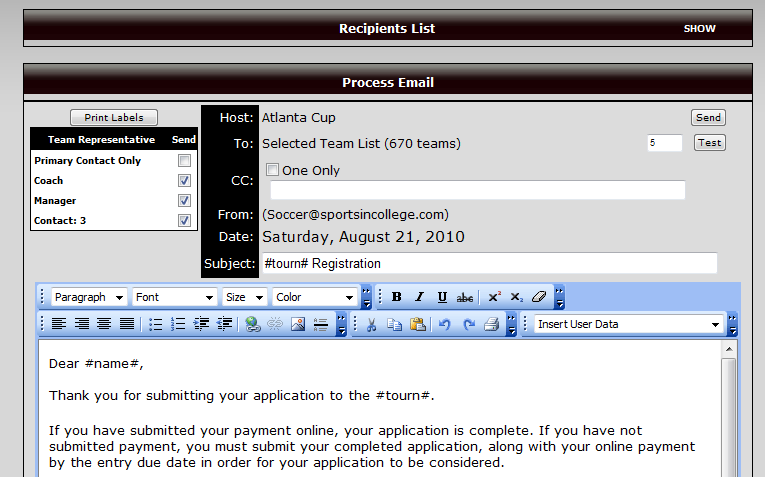 Email all of your teams, automatically send out game change notifications, live scores via text message and more! The scheduling system is a very powerful resource for directors. It is built to be a simple process for most situations, but is also flexible enough to handle anything you might throw at it. The sincSports system calculates points and standings based on YOUR scoring rules. 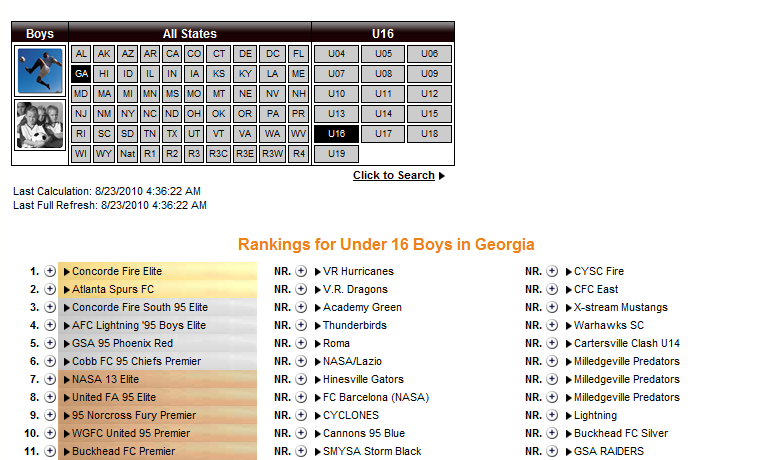 Just enter the scores of the games and the system will update your standings and advance teams into bracket play based on those results. Teams, parents, and fans can sign up to get "live" scores sent right to their phone as the results are entered on the website. No more staring at the score board to find out where they finish to know when they'll play tomorrow! With a system as powerful as sincSports, you are bound to have some questions! We've built an online guide to walk you through the system and have built in help on all of the pages to explain anything and everything you might want to know. How am I supposed to know how to seed these teams? Who goes into the top division? The SportsInCollege rankings are built into the system so you can see where teams stack up to help you through this step. 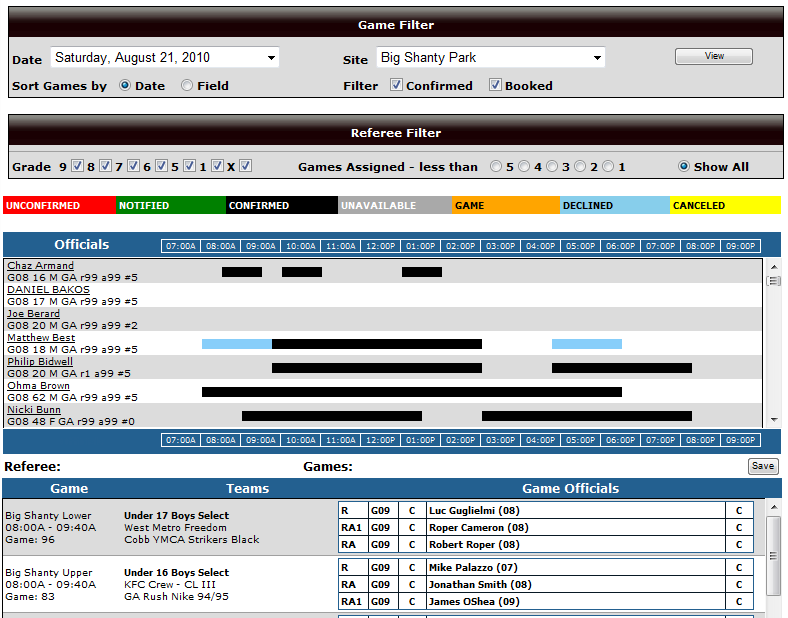 The sincSports system will allow you to setup registration for your officials, setup the fees you will pay out for each division, and then finally schedule your officials right from your event website.